Fiber Cafe One: Backgrounds First! 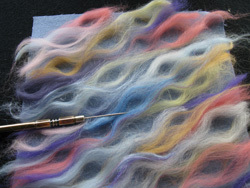 Now available from the comfort of your home, enJOY Paula Scaffidi's best-ever foundation courses for machine needle felting. The Fiber Cafe One unifys important topics from several popular, time-and-road-tested fiberella workshops. Design topics are artfully combined with fiber basics, including essential information and up-close, video technique instruction. 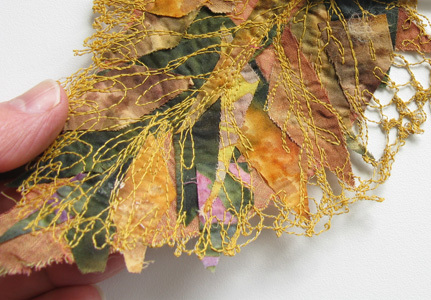 Bring vague ideas into focus and develop your own favorite needlepunch motifs. You'll learn Fiberella Line & Shape Techniques, several new ways to think about cutting your materials ...all along with Paula's take on Design Basics to effectively support your emerging ideas. So that everyone CAN create with abandon! ...enhance visualization, build skills and reach fresh creative goals! 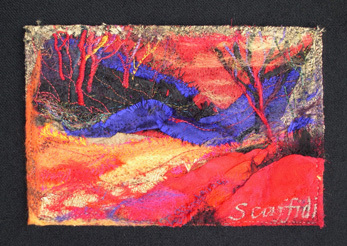 Images reflect just a few of many unique Fiberella Techniques, you'll learn in Fiber Cafe Two! 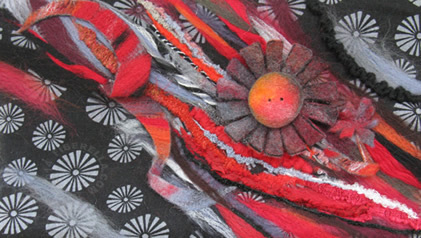 A next best step to develop your textile art in the land of needlepunch ... Join Paula in the Fiber Cafe Two! It is recommended that you take the Fiber Cafe One first! If you've already taken Fiber Cafe One, access to review its content is included while taking the Fiber Cafe Two. So if you should experience a brain cramp (I get those too :-) you can refresh your memory anytime you'd like. 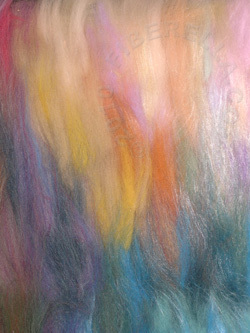 Colorful, Textural Fiberella Techniques at Your Fingertips! Join Paula Scaffidi for a needlepunch adventure! While creating an attractive iPad case you’ll learn a variety of alluring, easy-artsy Needle Punch Fiberella Techniques; and discover what makes a punch technique especially suitable for use on a handbag, in a quilt and/or for apparel projects. As co-developer of the #45 Punch Tool with BERNINA International, Paula acquaints you with the unique built in features and special capabilities that distinguish the BERNINA Needle Punch accessory as both innovative and exclusive in the marketplace. 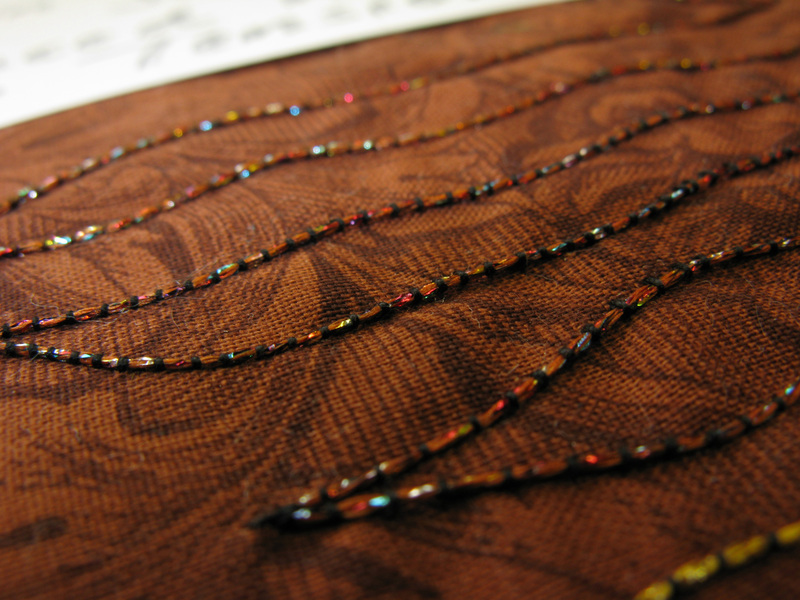 Fiberella Techniques have been applied differently in this example! Enhance realism by learning to think abstractly. Join in and create a multitude of original small landscape studies, sparse in detail yet convincingly "real." You'll sharpen your minds-eye and spark the imagination as you explore mixed media. 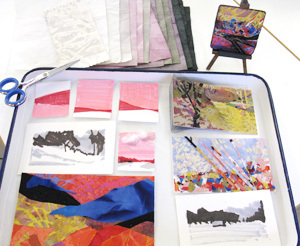 Visualize the Landscape is a beginner friendly, mixed media course. Optional: simple straight stitch and/or zig zag sewing to add into the mix, if desired. What you'll learn in this course is useful in any media, in quiltmaking, needlepunch, painting, etc. So you can recognize and work effectively with VALUES! The old saying goes, "Color get all the credit, while value does all the work." Visualize the Landscape R ...relates well to any mixed media you currently work in, and will lend ideas for new ingredients to work with alone or to add to your own special mix. Any sewing you ight like to include is completely optional. Prepare your mind to enJOY free-motion stitching! Once you know where you're headed, the stitching part becomes a LOT easier. Starkly modern, contemporary and traditional quilting enthusiasts all welcome! Whether you're brand new to this skill set (those of you doing needlepunch have a built-in head start) or more experienced with free-motion stitching, why not be more creative with it, using less marking ...and all with a bigger smile on your face? 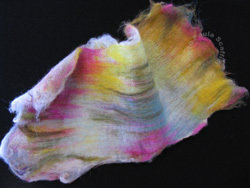 Relevant for many areas of textile art including: apparel, quilts, sculpture, fiber art jewelry, vessels and more. 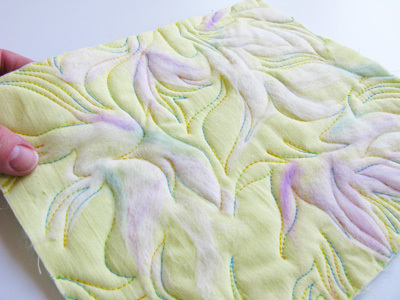 Awaken some fresh ideas for stitching the surface! Visualize Free-motion Fills and Motifs is a beginner friendly paper-and-pencil course. 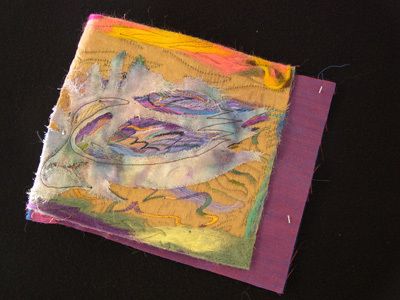 The course concludes with a few of Paula's best tips for successfully stitching out your designs at the machine; and for adding free-motion to various types of projects. 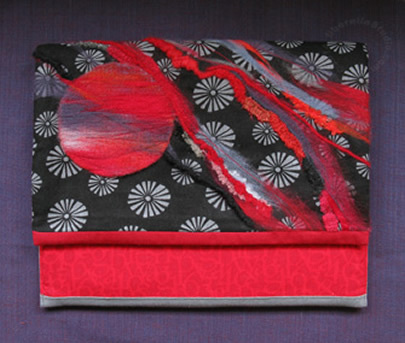 You're encouraged to deliver your creative stitch-friendly designs ...into textiles. Designs concepts are also useful for many kinds of mixed media surface design. These and more special effects! It's here! Paula demos at the machine for the majority of this presentation. Learn how to create a variety of fun and unusual free-motion effects. At every turn you'll have a clear view of what's happening at her fingertips. Feel free to ask Paula questions as they come to mind either during the LIVE meeting, or by email. You'll form great habits for free-motion success at the machine, useful with any brand of equipment. 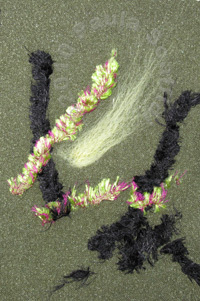 This enhances basic free-motion stitch and all of the Fiberella Special Effects. 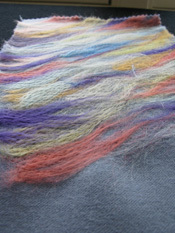 Design tips for working with thread color, thread type and needle info also included. A great companion class to Visualize Free-motion Fills & Motifs, taken either before or after! 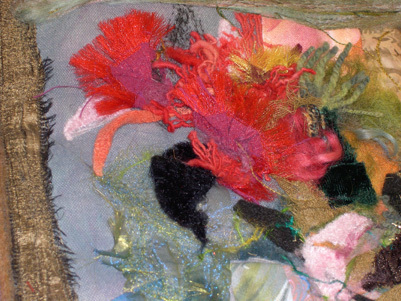 Ten Textile Treasures ...each a one day mini course! Have a peek at some of the treasures here! Click Registration to view dates for upcoming courses! To peruse other courses you can look forward to, use the drop down menu for this page.